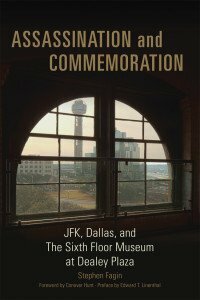 Home » Blog » Events » Our next title will be……..
Our next title will be……..
Stephen Fagin’s Assassination and Commemoration: JFK, Dallas, and The Sixth Floor Museum at Dealey Plaza! 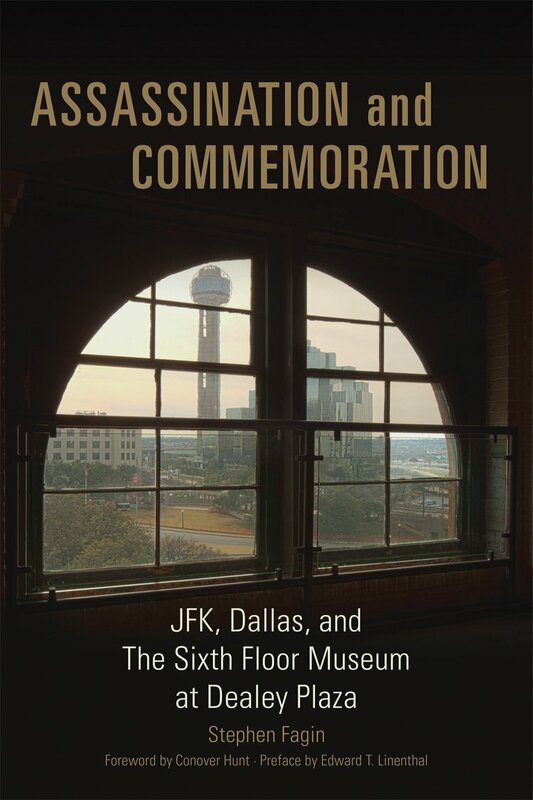 Stephen Fagin’s newest work is the perfect selection for our group to study the 50th Anniversary of the JFK Assassination in Dallas on November 22, 1963. Fagin, the Associate Curator and Oral Historian at The Sixth Floor Museum at Dealey Plaza, offers a uniquely refined perspective about the assassination, Dallas and the museum. The shots that killed President John F. Kennedy in November 1963 were fired from the sixth floor of a nondescript warehouse at the edge of Dealey Plaza in downtown Dallas. That floor in the Texas School Book Depository became a museum exhibit in 1989 and was designated part of a National Historic Landmark District in 1993. The book recounts the slow and painful process by which a city and a nation came to terms with its collective memory of the assassination and its aftermath. Here is a link to a promotional video about the book on the Museum’s You Tube channel. Enjoy! Y’all need to read this great book!!!! Sandy See, Publicity Manager at the University of Oklahoma Press, was kind enough to donate 5 free copies of the book! We’ve already given away one book – so there are 4 more copies left!!!!! Comment below that you would like a copy, and send your mailing address to bookgroup@gmail.com. I think you will all agree that this book is a perfect choice for us! 2 Responses to Our next title will be…….. I would love to read this book and receive a free copy of it. I belong to a local book club and would love to discuss it with them. We would love to send you a free copy! Please send your mailing address to bookgroup@gmail.com. Also, we ask that if you receive a free copy, that you participate in the webchat with the author, which will be Nov. 16th at 2:00 pm. If you are unable to log in at that time, we would love to have your questions beforehand so we can ask the author on your behalf!